Patrick Burnier (designer), Swiss-born, studied anthropology then toured as a stage technician before becoming a scenographer. He has a holistic approach to design, starting with a rigorous understanding of a text or brief before thinking sculpturally and technically. Winner of the Linbury Prize for Stage Design, he has worked on many inspiring projects including for The Royal Court, The Young Vic and Théâtre de l’Athenée Paris. Anna Jones (designer) studied Drama at the University of Hull. Here she discovered scenography and has never looked back. Her design focusses on the strong emotional connection between a performer and an audience member. 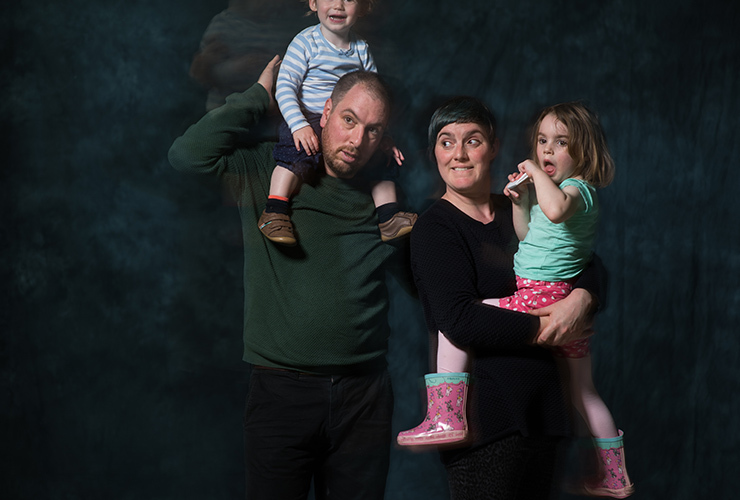 Anna and Patrick met on the Motley Theatre Design Course in 2003, since then they have developed their work and lives together, creating first their design studio Curious Space, followed by their two young children Alys and Noah. As well as being the resident designers at the Museum of Ethnography Neuchâtel (MEN) Switzerland, other clients include V&A, National Railway Museum, Rayban and Hermes.